To identify IgG and IgA food sensitivities and to determine the severity of leaky gut. This panel will check for both IgG and IgA antibodies to 96 of the most common foods, including gluten and dairy products. 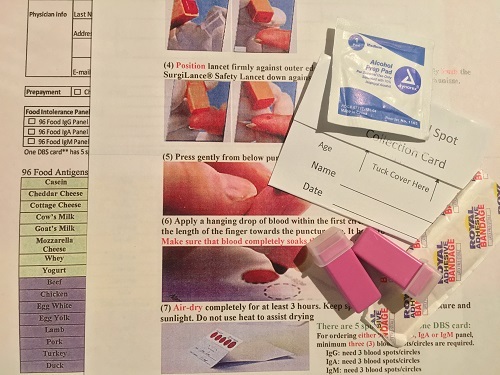 It is a blood test completed with a finger prick, that you can do at home. This purchase does NOT include a consultation. To purchase the test with a consultation, click here.